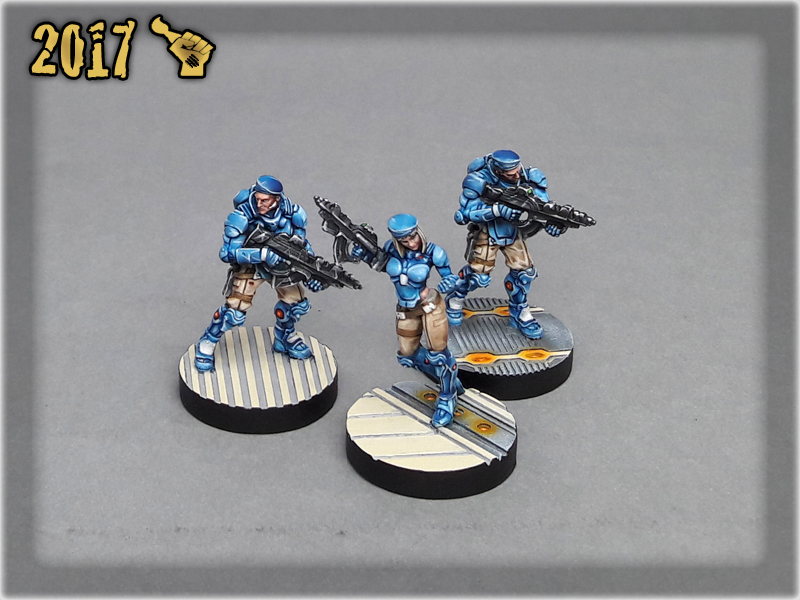 Here are some Colour Recipes for Infinity Panoceania from GALLERY: INFINITY NEOTERRA lvl 5. Please take note that this is a simple colour scheme, not covering multiple overlapping layers and blends inbetween, that lead to the final product. It is supposed to be used as guidline not a step-by-step. 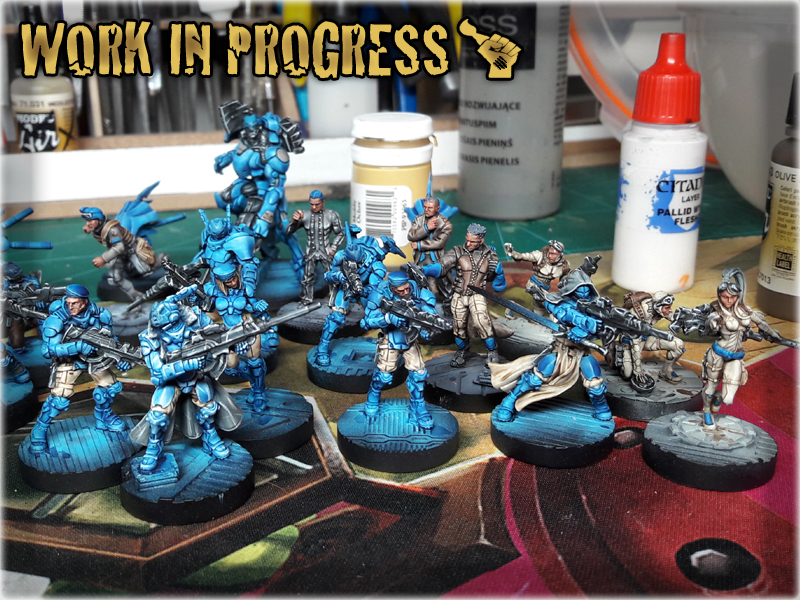 Hey, I dont know if you´re going to see this, but i would love to see a step by step on painting panoceanian troops… I tried many times but i dont seem to achieve good results without an airbrush, but your panos are soooo good…. if you have the time, could you please make the step by step? Or at least explain the method in here? Thank you so much! Hi and thanks for comment. The method showed above requires airbrush to prepare base armour colour. Would be very difficult to achieve good results without one. 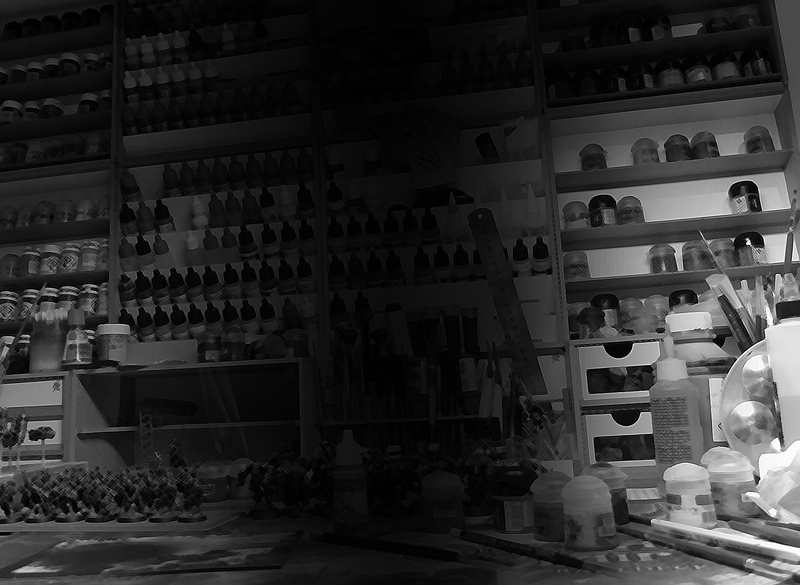 Airbrush will let you paint base armour in few layers instead of a dozen. 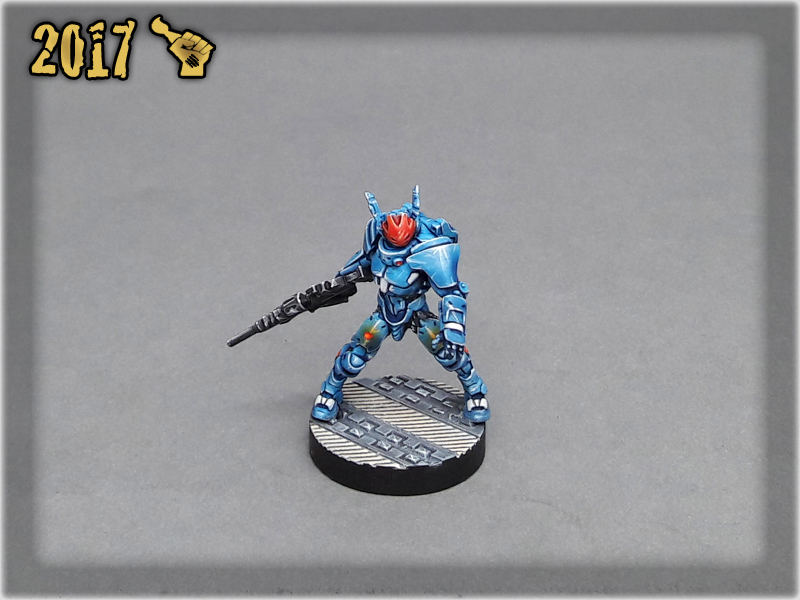 As for step by step – maybe will make one with another bunch of Pano troops, once they hit the desk, but can’t promise. 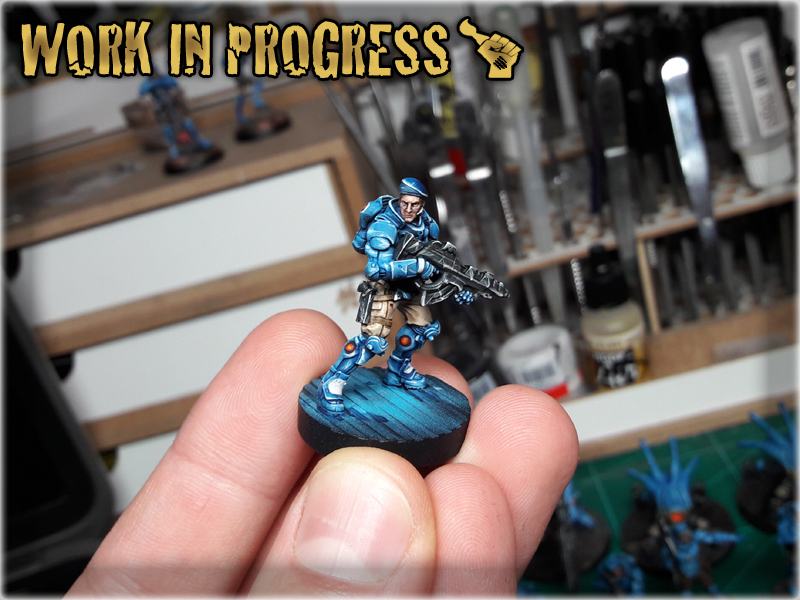 I have a lot of work lately, and step-by-step is very time consuming, also requires to put the miniature down, take pictures and so on – takes me out of the mood for painting. I strongly recommend to see some of this guy’s tutorials: https://www.youtube.com/channel/UCTfnfIY3Kyxcv8sWck4sxvQ Once you get the basics you can then use my colour recipee to achieve similar results with ease.